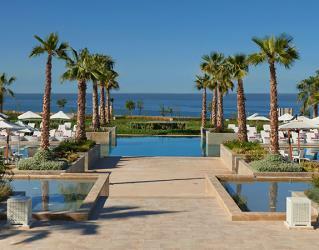 Hyatt Place Taghazout Bay is a high end 5* hotel in Agadir. A distinguished place for a golf break in Morocco, the hotel is adjacent to an amazing 18-hole golf course designed by Kyle Philips. 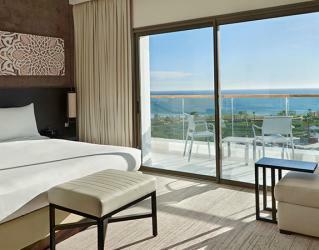 Overlooking the Atlantic Ocean, Hyatt Place Taghazout Bay offers a rich variety of facilities for its guests. 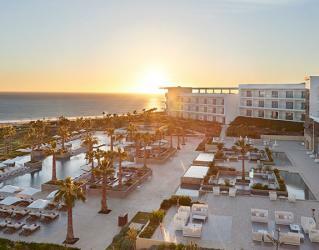 The different and contemporary design all throughout the hotel, luxury rooms with breathtaking views, exquisite dining options, 2 outdoor pools, fun daytime activities and the exclusive spa are what this sophisticated resort has to offer. 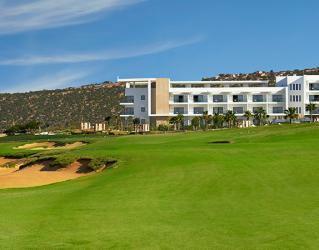 This is a fantastic choice for guests looking for a fun golf holiday. 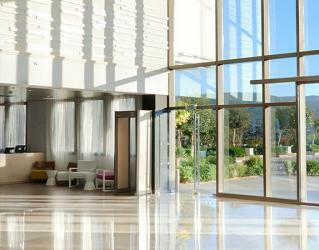 The spacious rooms and suites of the hotel offer the latest amenities and facilities. 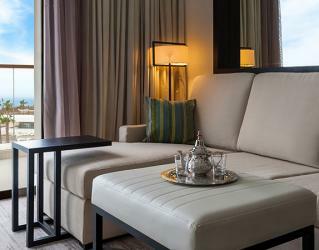 The contemporary and minimalistic décor of the rooms are blended with stylish furnishings. Boasting ocean or mountain views, the rooms are all equipped with a Cosy Corner with sofa-sleeper, air conditioning, flat screen TV, iPod docking station, internet, Hyatt plug panel, safety deposit box, minibar, iron & ironing board, tea and coffee setup, alarm clock radio and luxury bathroom amenities. 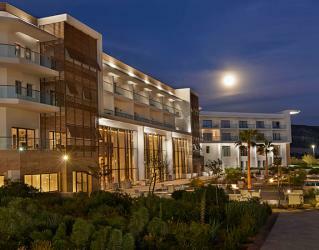 The dining options of Hyatt Place Taghazout Bay are nothing less than fit for the kings. 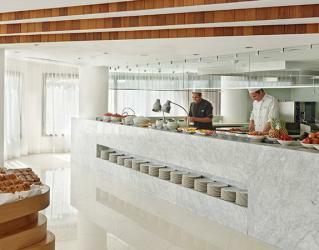 The hotel uses local ingredients and their own products as much as possible. 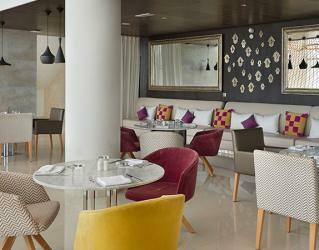 Gallery Kitchen Breakfast serves a complimentary hot breakfast variety every day in an airy and cosy atmosphere. Set in a welcoming ambience with cosy furnishing, Gallery Café offers breakfast and dinner of local and international cuisine; including fresh fish from Taghazout Bay. 24/7 Gallery Market offers a menu of “grab n’ go” items including freshly prepared sandwiches, salads, bakery products, bottled juices and soft drinks. Set in a beautiful relaxing atmosphere across the captivating views of the Atlantic Ocean, Pool Bar offers all-day dining of international dishes and local tastes until sunset. 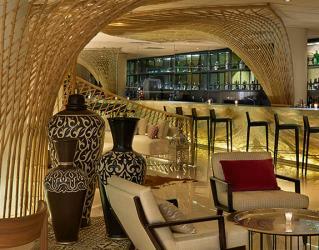 Coffee to Cocktails Bar is the perfect place to sit and relax in the evenings in its comfortable atmosphere. The Pool Bar serves innovative cocktails and a wide range of drinks including wines, local and international beers and premium spirits from around the world. 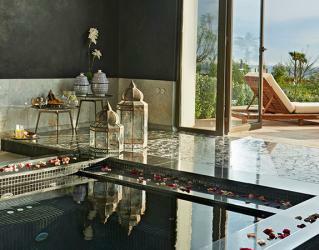 The luxury Spa Asenfo offers a unique spa experience. 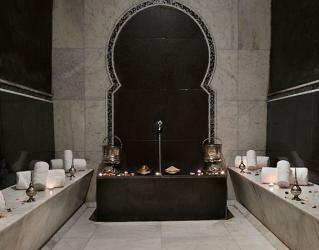 The refreshing treatments and Moroccan Hammam rituals are unforgettable. 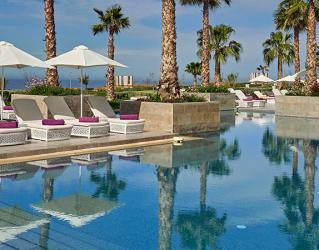 With breathtaking views, the spa offers body scrubs, massages, facials and slimming treatments. The Jacuzzi and sauna will complete your journey to relaxation. 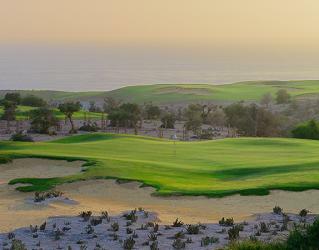 Located just 15 minutes north of Agadir and set in the heart of the Taghazout Bay resort, the new Tazegzout golf course presents a number of spectacular holes set amidst the Argan trees with the stunning Atlantic Ocean as backdrop. 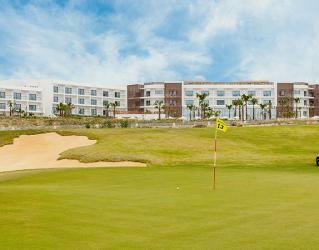 Designed Kyle Phillips, Tazegzout golf course is laid out on 76 Ha of land and is perched at 80m above sea level with each hole enjoying breathtaking views of the Ocean. 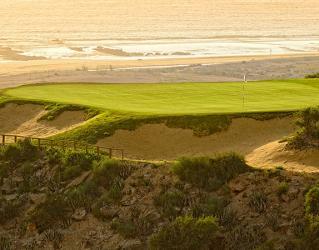 The routing meanders through the natural Argan vegetation, rising to a crescendo on the final 3 holes. Playing over two deep rocky ravines and finally along the 80m cliff edge, these finishing holes will test every level of golfer and provide endless stories to retell on the terrace of the magnificent clubhouse. and the reuse of wastewater. 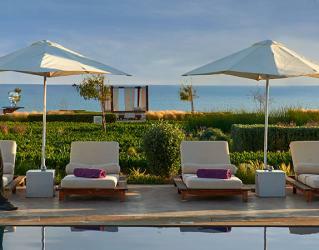 Club house: Tazegzout includes a 2000 m² welcoming & friendly club house. 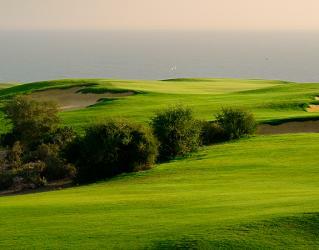 Golfers can relax in a stylish atmosphere and enjoy the splendid ocean view after a round of golf. Restaurant: With a capacity of 150 seats, the restaurant offers creative, tasty and refined cuisine based on fresh products & local specialities. Pro Shop: The Proshop offers a wide range of clothing, golf equipment and accessories, as well as golf or destination branded products and souvenirs.